Trillium is such a lovely gift of spring, I love the many different kinds of trillium with the variety of colors and shapes. 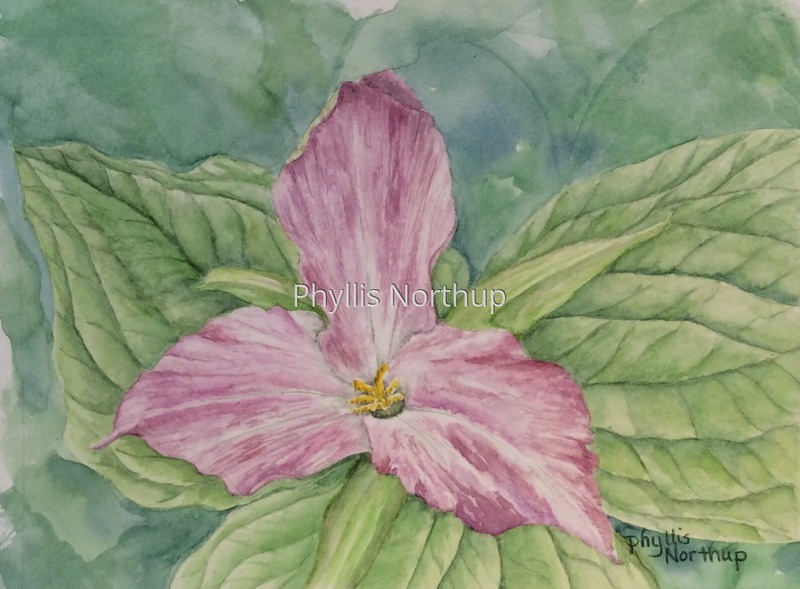 This painted trillium is double matted and framed to 13x15. Original watercolor framed and available from the Warehouse Art Gallery in Luray, VA 540-843-0200. Contact me if you would like to purchase this piece.